Perfume for Hair and Ponytails and Hats and Toboggans! Good morning my perfume for hair besties! Can you believe it’s almost the end of January? Follow up question, why is it still freezing? I’m one of those people that loves fall and winter, don’t get me wrong. But once Christmas and New Year’s are over I am READY for spring and summer. Give me the warm sunny day! But alas, here we are, still freezing. Thankfully I have an ample collection of baseball caps and beanies and ear muffs and all kinds of things to keep the noggin warm and safe. But guess what happens when I wear hats all day? My head gets sweaty! My hair is less than appealing when I take my hat off at the end of the day. I’m hoping you’re picking up what I’m hinting at here folks. That’s right, you need to spray Hair Shots right into the hats and head things! This is one of the great things about how we make our hair perfume. We use only three ingredients that never make your hair feel greasy and never leave a residue on fabrics. So you can spray away and never worry about any sort of damage done to your belongings. Right now I’m spraying in Citrus Sugar scented hair mist. This particular flavor makes me feel refreshed and clean and ready to take on the day. It’s like a sweet and spicy for your hair! 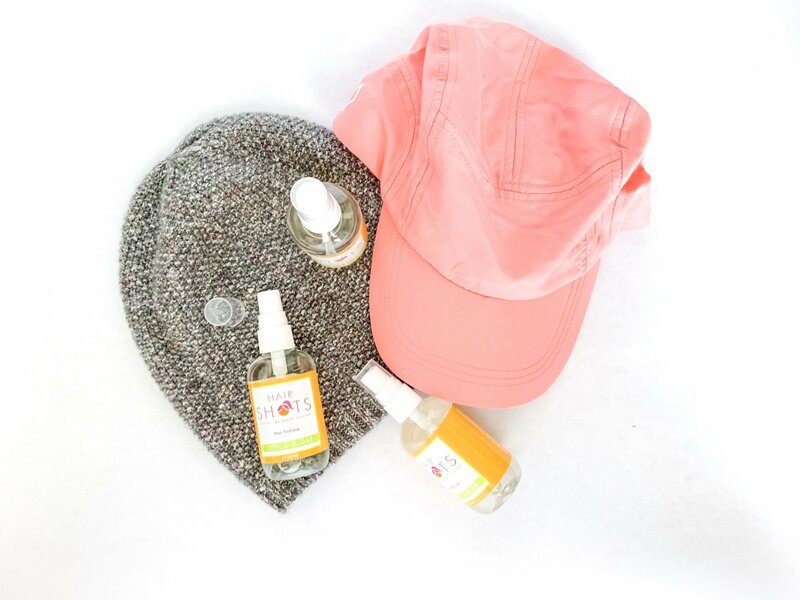 Comment below and let me know what is your favorite winter hat and which hair perfume you will be spraying into it! « Hair Perfume Resolutions – Shape Up 2019!